These simple yet healthy paleo chicken recipes are for those of you who are tired of eating empty calories, and want something that is going to be easy to prepare and really healthy in the process. 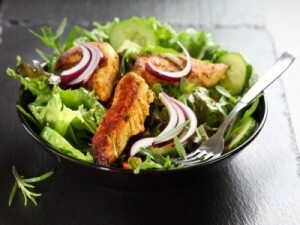 These healthy paleo chicken recipes will help to keep away unwanted carbs and calories, they will help you too get more energized, as well keep you on the path to success with your fitness efforts. Oh… I forgot to mention that they taste GREAT! Mix flour, salt, and pepper together in a medium bowl. Put both shredded coconuts in a bowl. Lightly beat an egg with the tbsp of oil. Dip chicken pieces in flour to coat evenly. Dip chicken into egg mixture and then coat with coconut mixture. Place chicken in a shallow baking pan. Drizzle with melted coconut oil, butter, or margarine. Bake 15 to 20 minutes in preheated oven or until chicken is browned and cooked through, turning once. Cover your baking sheets with aluminum foil. Set broiler on high, arranging rack so that the chicken will be about 2 inches from the heat. Rinse your chicken breasts and cut off any excess fat. Place chicken breasts side by side on baking sheets (8 per baking sheet). Sprinkle sea salt, to taste, on all chicken breasts. 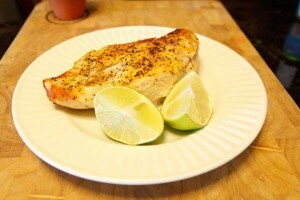 Sprinkle lots and lots of Lemmon Pepper spice on top of sea salt sprinkled chicken breasts J. 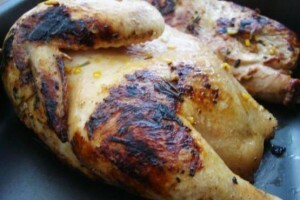 Place chicken in oven and broil for 14 minutes. Carefully flip each chicken breast, repeat step 5-6 and continue to broil for another 14 minutes on the other side. Mix all marinade ingredients in a large bowl. Rinse chicken meat and cut larger pieces in half keeping long slices. Using your hands, cover and rub the pieces with the marinade. Cover with cling wrap and set aside for at least one hour before grilling. If using a grill plate or a frying pan on your stove, heat one teaspoon of coconut oil until sizzling hot. Fry chicken pieces for 3 minutes on each side and then remove to a plate to rest. Make sure not to overcrowd the frying pan or you will end up with too much meat juice and your dish will become stewed rather than grilled chicken. 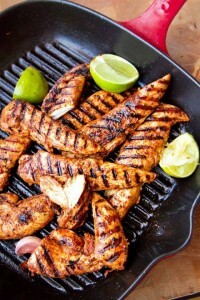 If using a BBQ, heat the plate to sizzling hot and either spray with olive oil or brush with coconut oil. Place chicken pieces on the plate with a little space in between and cook for 3 minutes on each side on medium/high heat with the lid on.